One downside to jailbreak apps and tweaks is that native uninstallations have to go through the Cydia app, and the process is clumsy at best. However, one new package called CyDelete7 promises jailbreakers the ability to delete individual jailbreak apps and tweaks using “wiggly mode,” and is optimized for iOS 7-powered iDevices. CyDelete7 is as simple as it is effective (a common theme with the best jailbreak tweaks). Once downloaded and installed, the package will enable wiggly mode support for jailbreak applications which have placed an app icon on one’s Home screen. This means that uninstalling a jailbreak app such as Activator, for example, is as simple as holding down an iOS app icon to enter wiggly mode, and touching the small cross which appears in the top left-hand corner of the icon you wish to delete. 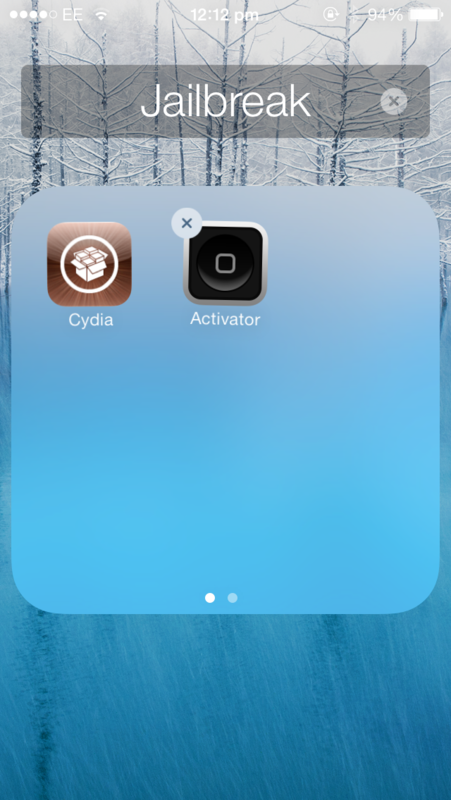 If the jailbreak tweak or app you wish to remove doesn’t have an iOS app icon on the Home screen, though, you’ll obviously still need to remove it using the “Packages” section of the Cydia app. CyDelete7 can be downloaded free of charge in the Cydia Store, and it’s optimized for iOS 7 as well as for ARM64-iDevices. It’s definitely an exciting time to be a jailbreaker, given the number of iOS 7- and ARM64-compatible jailbreak apps and tweaks which are in the process of launching following the release of evasi0n7 and Cydia Substrate for 64-bit iDevices. Our favorite recent additions to the Cydia Store include Bloard, SkipLock, and Share Widget for iOS 7. Do remember, however, to avoid iOS 7.1 (even in its prerelease iteration) until the evad3rs update evasi0n7 accordingly! See also: Carry On My Wayward Saga: More Footage Of Mage Gauntlet Sequel Hits The Web, Super Hexagon Creator To Bring VVVVVV iOS Port To The App Store In 2014, and CES: Check Out Braven’s Brand New Bluetooth Speakers For 2014.